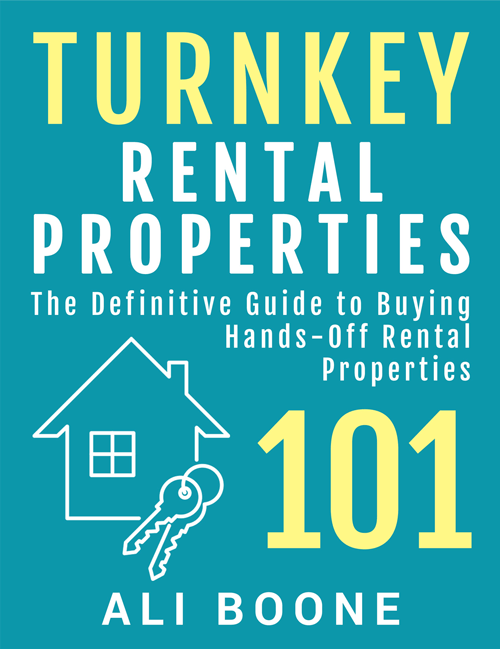 I most often get asked about my buying criteria as it relates to turnkey rental properties because that is what I have mostly bought over the years. However, the answers I give regarding turnkeys are really the same answers I would give for any rental property investment. What should you look for in a rental property? Are there guidelines? What factors should you consider? What about those pesky “rules of thumb” so many people preach about? That big-picture, dummies-level is what I’m going to give you—not because I think you are a dummy, but because I personally quite often appreciate dummy-level guidance because it helps me clarify all the million details I get everywhere else and helps me put everything together. I’m going to tie each point of consideration to at least one other article. That way, you can start to get more insight into the details without me diving into all of them here. I’m going to break these four things up into two categories—considerations and guidelines/theories. Ultimately, all that matters with any real estate investment is the numbers. The whole point of investing is to get a return on your money, so if the numbers don’t work, what are you even in it for? You absolutely should not, under any circumstances, invest in a piece of real estate without fully understanding the numbers involved. Whether this is a rental property and you are relying on cash flow from it, you are flipping and ARV matters, you are financing a property and need to know how the property’s income shakes out against that, or you’re buying for appreciation, numbers matter. At the end of the day, they are all that matter (except for sanity—sanity matters more than money in my opinion). So you’re looking at a potential rental property and trying to decide if it’s a good deal or not. Well, what are the numbers? Do you know what to look for? I know I didn’t the first time I ever went rental property shopping. It didn’t seem like the properties I was looking at were a good deal, but I couldn’t point to exactly why or why not—because I didn’t know how to run the numbers. The most useful and accurate equation for determining the return on your money is the cash-on-cash return. This equation focuses only on monthly cash flow, so it doesn’t incorporate additional equity build/appreciation or tax benefits, but you’re safer to assume both of those to be a bonus anyway. But also, while the cash-on-cash return is the most accurate, you need to understand cap rate because that number is used a lot and will give you an idea of the worth of an investment. It will also happen to be equivalent to the cash-on-cash return for properties bought with all cash. But if you are financing, the two numbers will be different, and they essentially tell you different things. For the most basic instructions on how to use and run these two equations, check out Rental Property Numbers So Easy You Can Calculate Them on a Napkin. The even broader question to the cap rate and cash-on-cash return is will there be positive monthly cash flow or negative monthly cash flow? Those equations will tell you that, and whatever the answer is, you need to know exactly what that means. Positive monthly cash flow means the income you receive on the property is more than what you pay out in expenses. It means you pocket money every month. Pocketing money every month, rather than paying out money every month, is obviously desirable, but you’d be surprised how many people don’t realize that should be happening. There are cases, however, when people justify having a property with negative monthly cash flow. This is often the case when someone is out for profiting off the presumed appreciation of a property. 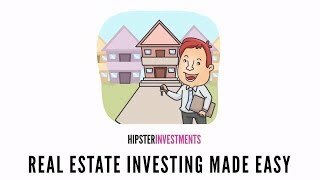 So you might lose a few or several hundreds of dollars each month because supposedly the property is going to appreciate something fantastic over the next however many years. This has certainly happened in the past, especially for people who bought at the right time in places like Los Angeles or San Francisco (or even me who bought turnkeys in Atlanta at exactly the right time and they’ve all doubled and tripled in value since). But investing for cash flow and investing for appreciation, while they can certainly dovetail, are two different strategies. For more information on each of these strategies, check out Investing for Cash Flow or Appreciation—What’s the Difference? Whatever method you invest for, you want to be confident in knowing where your predicted profit is going to come from. It has to come from somewhere, or you lose. Be concrete in knowing how much you project you will earn on your investment, and be able to explain how you got to that number. If you can’t do that, you need to go further with your research and learn it before you drop a dime into any property. But wait—once you run the numbers, is that all you need to care about? No! Anybody can come up with any financial prediction they want to. Those predictions don’t, however, come with any kind of guarantee that they will actually pan out. Notice in the last section I used words like “predicted,” “projected,” and “anticipated” in terms of the cash flow or appreciation returns. I used those words because that’s all your estimates are—they are predictions. In no way whatsoever do your predictions dictate whether they ever come true or not. So the question is—how likely is your cash flow to continue at the level you predict it should? Can you sustain your predicted cash flow? While several factors can play into whether or not you actually get the cash flow you are projecting or not, I think the biggest and most important factor is the market in which you are buying the property. A quick clarification though before I keep going: When we think of a property’s location, there is the macro-market it is in, as well as the micro-market. So the macro would be the bigger city that it is close to—cities like Atlanta, Chicago, Los Angeles, Indianapolis, etc. All of those are the big metro cities in their areas that constitute the macro-market. The micro-market is the smaller city outside of that bigger city that you buy, sometimes even as detailed as which neighborhood you are buying in. Ultimately, the fate of a micro-market very strongly depends on the macro-market it’s located near. If a macro-market fails, it’s likely the micros around it are going to hurt as well. If the macro-market is strong, the micro-markets have a good chance of staying strong as well. If in any way the market in which you invest in begins to decline, all of your projected returns may become impossible to achieve. Pretend for a minute you invested in Detroit before it went belly-up. Maybe you were getting great cash flow on a great property, but then when suddenly everyone moved out of the city and things went south, do you think you’d be able to still get that same cash flow? Doubtful. To help ensure your cash flow numbers are sustainable, investing in a solid growth market is imperative in my opinion. If you invest in a declining market, your property may not sustain your projected returns. If you want to dive into the specific risks with declining markets, check out 5 Risks of Buying Rental Properties in Declining Markets. The other joy about buying in a solid growth market, rather than a declining market, is the tenant pool. While the market you buy in can strongly dictate the sustainability of your cash flow over the long-term, the tenants you put in your property can strongly dictate the sustainability of your cash flow over the short-term. One bad tenant can almost immediately tank your returns. So the best option is to have the largest and highest-quality tenant pool that you can pick from. You’re more likely to find higher-quality tenants in a stronger market. Not to say declining or lower-end markets will only offer low-quality tenants, but it’s all about risk mitigation and lessening the risk of it. The numbers are most important, but they don’t tell the whole story. The ultimate question is—can you sustain the numbers? And there is a lot that goes into that sustainability. Well, I guess you can already see how I feel about using these next two guidelines as buying criteria. These next two things are “famous” guidelines or theories that people have come up with over the years as buying criteria when they look at possible rental property investments. It’s not that either of them are necessarily wrong, but they can be misleading in several ways, so you need to be sure you understand more about them so you know whether or not they are applicable to use as your own buying criteria. I know this idea of aiming for a particular amount of cash flow per month has been around forever, but for some reason I’ve been hearing a lot more people reference it lately. And somehow this popularly-referenced guideline has been set to $200/month as required cash flow for a rental property investment. It’s not a bad start. You do want to have some kind of idea of what you are looking for in terms of cash flow, so I guess we can start with $200/month. But the problem with using that set number is that whether $200/month is a good cash flow or not is relative. How risky is the property? If you were to buy a low-risk property for $100,000, I would say $200/month cash flow (assuming we are talking about after financing) might be really good. If you were to buy a low-risk property for $1,000,000, I would say $200/month cash flow would be atrocious. If you were to buy a high-risk property for $100,000 or one that you had to put a lot of work into, I would say $200/month may not be good. Maybe it’s OK, but the higher the risk, the higher your returns should be in order to make up for that added risk you are taking on. Same with how much work you put into something. If you are going to be putting in a ton of work and effort into a property, you should want to see higher returns to compensate you for taking that on. This article is written in terms of what cap rate you should shoot for on a property, but the same information applies to cash flow numbers. Check out How to Know What Cap Rate to Shoot For on Any Given Rental Property. The main message in that article—and what you need to realize—is that everything is on a scale. On one end of the scale, $200/month might be fantastic. On the other end of the scale, it might be horrible. So instead of making your buying decisions based solely on some set number for cash flow, you have to look more at what you are buying and what you are getting from it as a whole package. If everything else about the property is great and has good appreciation potential and a high-quality tenant pool, then lower cash flow might be fine. If the property doesn’t offer much else outside of cash flow, you need to only settle for higher cash flows. And in addition, good cash flow in one market may be horrible for other markets. If you were to buy a decent property in a market that notoriously doesn’t offer any cash flow, like Los Angeles or San Fran or New York City, then $200/month cash flow on anything you buy might be great! Whereas if you were to buy something in Cleveland or Detroit, I’d argue $200/month is not a good deal. And so are these rules. Before I demolish both of these rules, I will say—in their defense—they both either have a place or have had a place in decent real estate investing thought.